Howard Gardner and colleagues release a seven-year study of higher education in the twenty-first century. 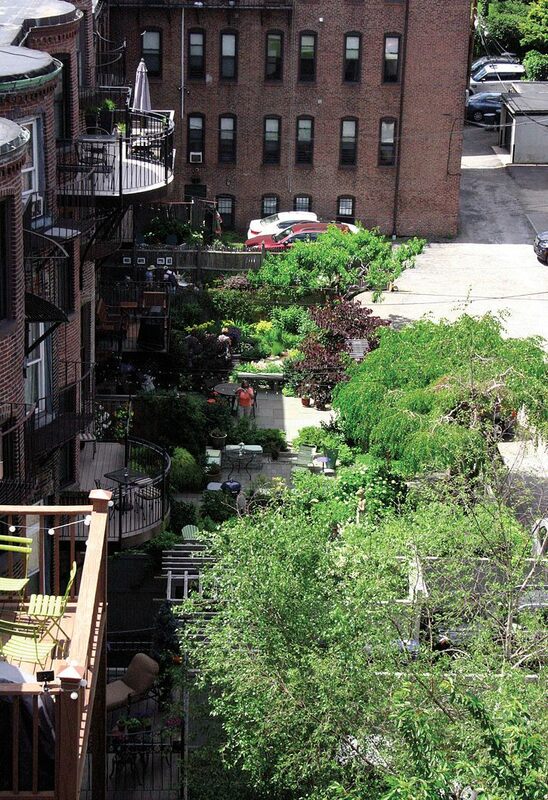 Boston’s South End residents treasure their green spaces—which make urban life more vibrant for all. Sue Greene, coordinator of The West Springfield Community Garden in Boston’s South End, has a few simple rules. Don’t plant trees and shrubs that will someday cast unwanted shade. Grow what you want. Have fun. “I’ve tried to cultivate the idea that everyone’s garden is unique,” she says, laughing at her word choice. 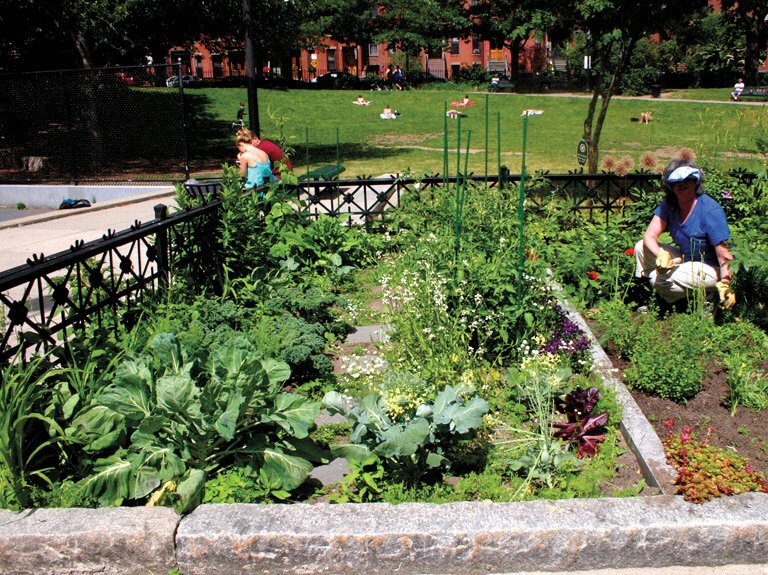 Creativity rules in these 35 (mostly) vegetable plots, as it does in the dozens of other urban green spaces that are also open to the public during the annual South End Garden Tour on June 20. The self-guided tours run from 10 a.m. to 4 p.m.; all proceeds benefit the volunteer-run South End & Lower Roxbury Community Gardens. (The $20 ticket also includes a post-tour reception where paintings by professional local artists, created during the day in some of the gardens on view, are displayed for sale.) 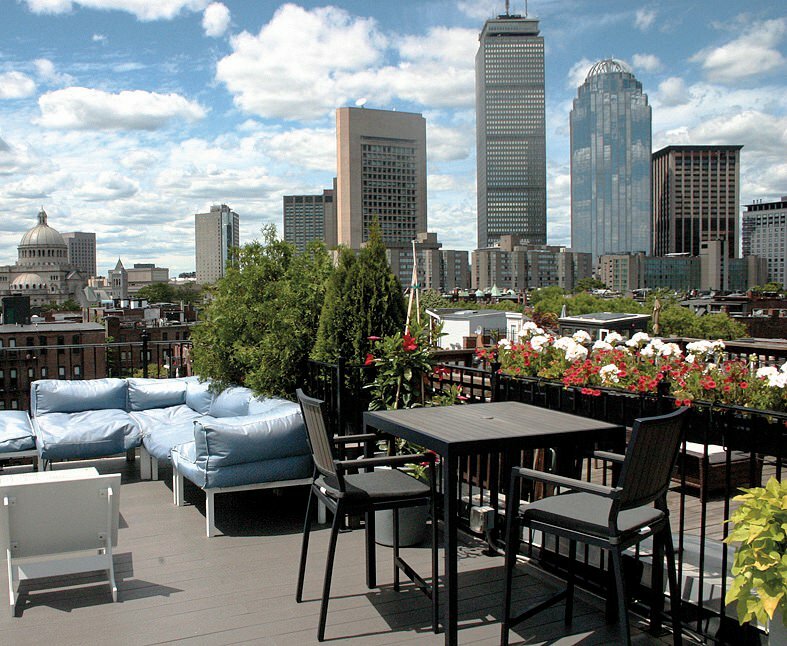 Visitors can explore upward of 30 private oases, besides the West Springfield plots: shaded sunken patios; lush flower beds; rooftop container gardens; and compactly built havens that may feature fountains, vine-covered walls, stonework, murals, and al fresco dining spots. Also on tap are the neighborhood’s parks and community-planted greenways. The variety of styles, growers, and multitude of community gardens (16 in all, but only a few are on this year’s tour) reflect the South End’s historic diversity. These open spaces “are where residents come together to cultivate food and flowers, create beautiful green places for everyone to enjoy, and grow friendships that make neighborhoods strong,” notes tour chair Maryellen Hassell. Many West Springfield gardeners have grown food there since the first plots were established in 1976; others are energetic newcomers. Most of the gardens are tended together by families or friends. This year, Greene reports, a young Jamaican couple will attempt to grow greens to make callaloo, a traditional island dish. Others will pursue an okra that offers a pinwheel-shaped white flower with a crimson center, even if harvesting the vegetable proves tricky. Greene’s husband, Michael F. Greene, A.M. ’12, and a friend grow hops to make beer, while she has had remarkable luck with tomatillos: green bulbs covered in papery husks native to Mexico and Central America. “It’s like they’re on steroids, the way they take over,” she reports. “We only put in four plants and we get bushels of them in September and October.” Luckily, salsa freezes—and goes especially well with chips and a tall glass of her husband’s home brew.